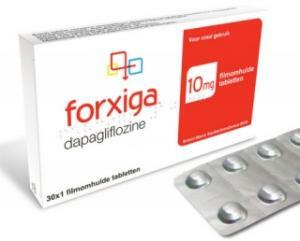 AstraZeneca has presented a new study on Forxiga, an SGLT-2 inhibitor for type 2 diabetes patients, at the American Heart Association (AHA) Scientific Sessions 2018 in Chicago. The company said it had confirmed that while showing no significant trend toward a reduced rate of major adverse cardiac events (MACE), the treatment significantly reduced hospitalization for heart failures. The DECLARE-TIMI58 study was among the largest cardiovascular outcome trials for SGLT-2 inhibitors to date, involving 17,000 patients from 33 countries. Forxiga reduced re-hospitalization due to heart failure or deaths due to cardiovascular disease -- one of two primary evaluation indexes for the study -- by 17 percent. Such tendencies were consistent in patients with cardiovascular risk factors such as hypertension, dyslipidemia, and smoking, and those with previous histories of cardiovascular disease. Although the treatment tended to decrease the incidence of MACE, it did not reach statistical significance. The results of the DECLARE-TIMI58 study reconfirmed the safety profile that Forxiga had already established. Compared with the placebo, the drug did not increase cardiovascular mortality, cardiac arrest (myocardial infarction) or stroke, which is a major cardiovascular event, and confirmed non-inferiority compared to placebo in the primary safety assessment index. Also, the company identified additional safety results compared with the placebo group, including the incidence of limb amputation (1.4 vs. 1.3 percent), fracture (5.3 vs. 5.1 percent), bladder cancer (0.3 vs. 0.5 percent), diabetic ketoacidosis (0.3 vs. 0.1 percent) and genital infection (0.9 vs. 0.1 percent). The results of the study were also published in the New England Journal of Medicine. “These positive results are clinically relevant to the 425 million people worldwide living with diabetes, of whom those with type-2 diabetes have a two to five time greater risk of heart failure along with an increased risk of a heart attack or stroke,” AstraZeneca Vice President Elisabeth Björk said.